Handmade Oxidized Celtic Cross hallmarked at the Irish Assay Office in Dublin Castle. 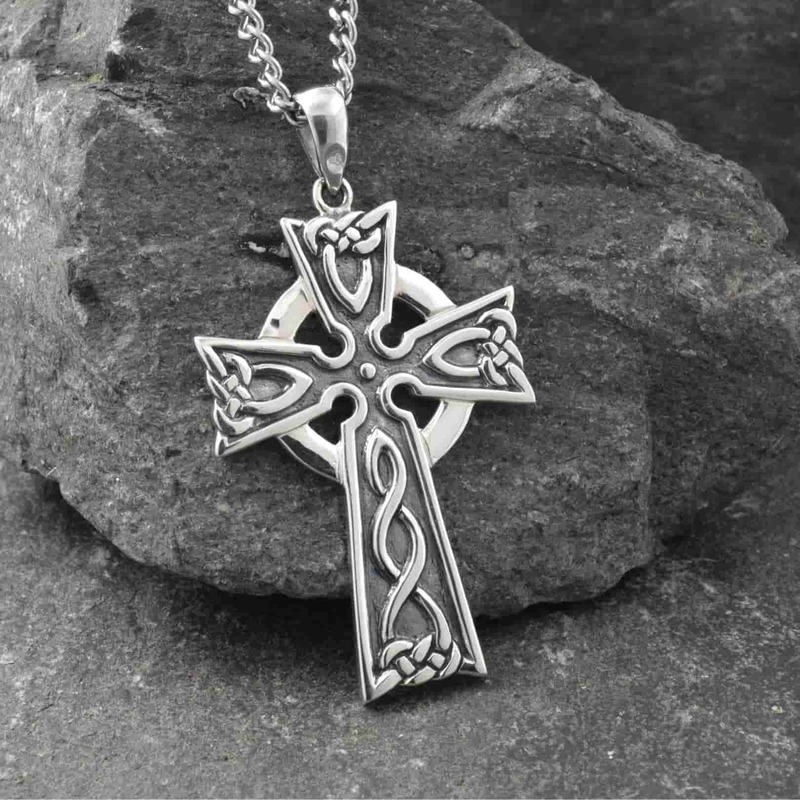 The rich Celtic knot decoration of this Celtic cross is highlighted in a high polish against an antique oxidized finish. Handcrafted in Dublin in the finest 92.5% sterling silver and hallmarked at the Irish Assay Office in Dublin Castle. Measuring 21 mm wide and 34 mm high (not including bale), the cross comes fitted with an 18 inch sterling silver chain. Guaranteed Irish jewelry shipped for free from Ireland with 30-day money back guarantee.